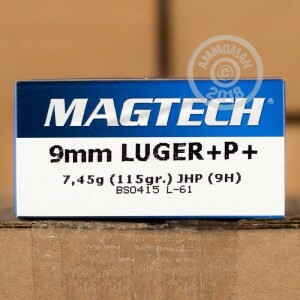 This high velocity ammunition from Magtech is designed for the sturdiest 9mm Luger pistols (and should only be fired in them). It uses a "+P+" loading and fires a light 115 grain jacketed hollow point bullet at 1,328 feet per second. Not surprisingly, this high velocity produces excellent expansion potential but also substantial recoil, at least for a 9mm Parabellum round. It is most effective in full-size pistols. 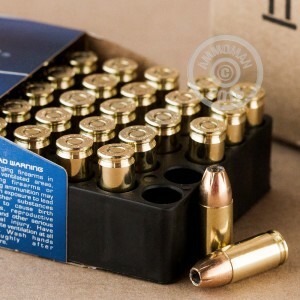 These cartridges come in boxes of 50 and are loaded in Ribeirao Pires, Brazil using non-corrosive Boxer primers and brass cases. CBC, the manufacturer of Magtech, produces all of its own components to ensure strong quality control. 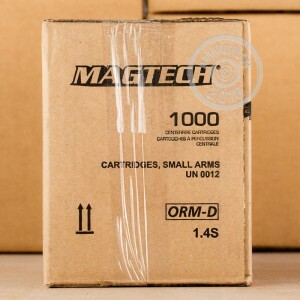 Place an order for $99 or more at AmmoMan.com and we'll take care of the shipping and handling at no extra cost to you!